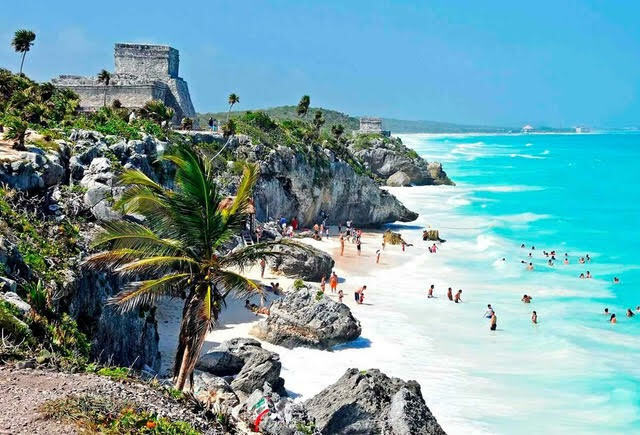 Tulum, Mexico is the place to end the year and bring in the new for fans of underground electronic music. Four weeks of music will be taking place in one of Riviera Maya’s most important archeological areas by the Caribbean sea. 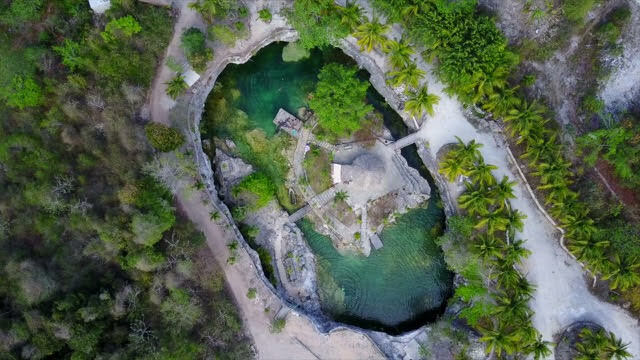 Esto Es Tulum kicks off on December 28th and ends on January 26th in a natural water cave in the jungle that can hold 7,000 fans called the “Cenote Case Tortuga” aka “Turtle Cenote.”. 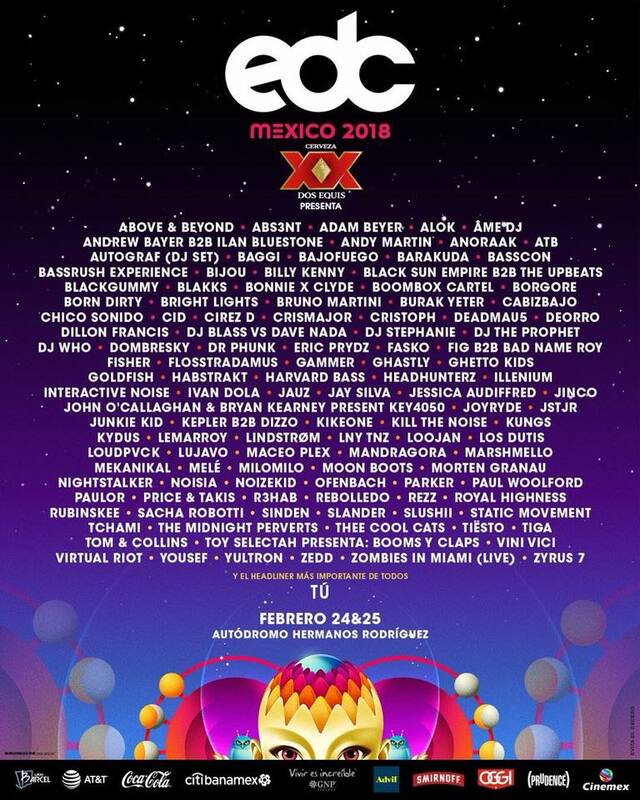 CircoLoco will have the honor of opening and closing Esto Es Tulum with artists like Seth Troxler, Damian Lazarus, Job Jobse, Blond:Ish plus more. The Martinez Brothers will host a massive New Year’s Eve party with an extended 12 hour set. 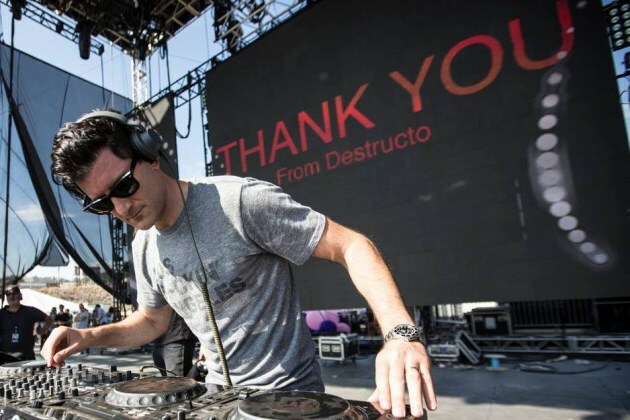 Brands that will be featured during the four week event include Bedrock, Luciano & Friends, Last Night on Earth, Do Not Sit On The Furniture, Muse, ANTS, Acid Sunday, and its own “Esto Es Tulum.” Featured artists include Luciano, John Digweed, Sasha, Behrouz, Steve Lawler, Matthias Tanzmann plus many more. Tickets for Esto Es Tulum are available here, and checkout below the current parties announced. 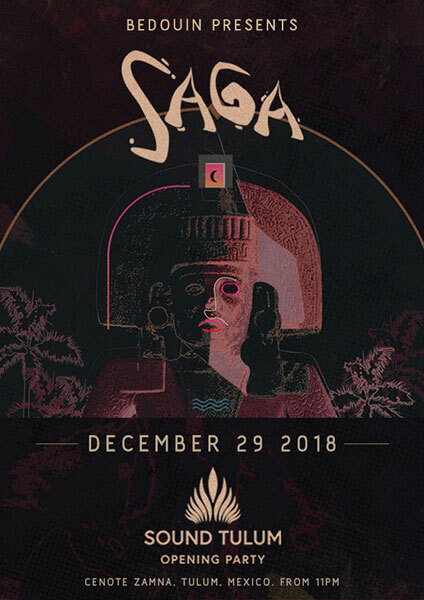 UPDATE: Sound Tulum Opening Party on December 29th with Bedouin Presents Saga. Tickets available here for the Sound Tulum Opening Party! 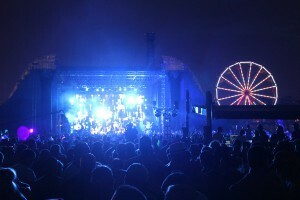 UPDATE: Flying Circus Presents NYE with Audiofly. 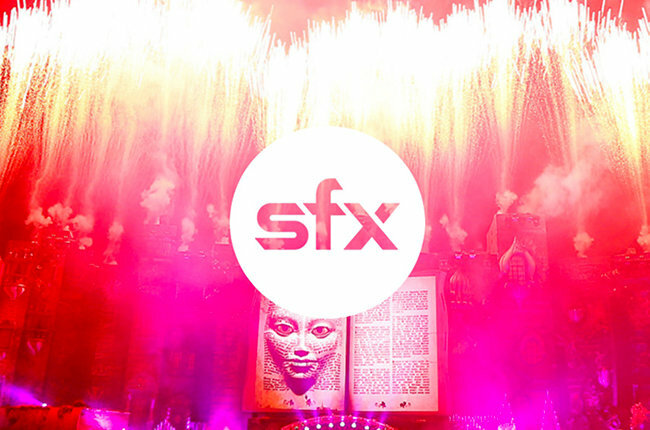 Tickets available here for NYE at Sound Tulum with Audiofly! 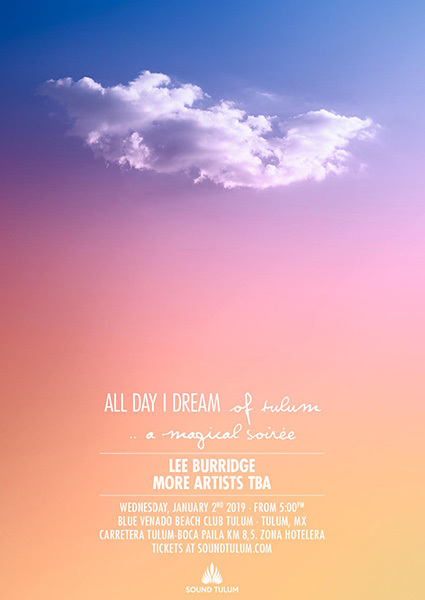 UPDATE: All Day I Dream – A Magical Soiree on Wednesday, January 2nd. 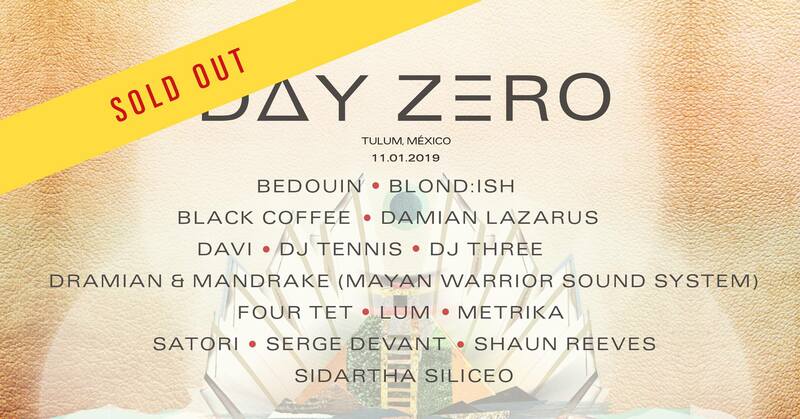 Tickets available here for All Day I Dream at Sound Tulum! UPDATE: Jamie Jones Presents Paradise on Thursday, January 3rd. 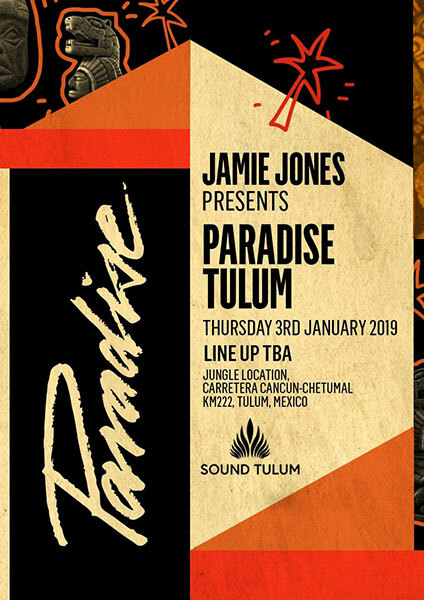 Tickets available here for Jamie Jones Presents Paradise at Sound Tulum! 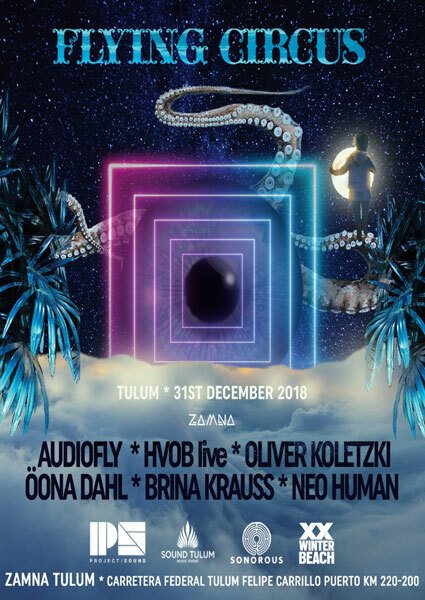 Another Tulum event option in the New Year for techno fans is the Frequencies party at the second edition of Sound Tulum with some of the most important and influential artists in the world. The international brand, Frequencies, will start a series of worldwide parties on Friday, January 4th at the Zamna Tulum. 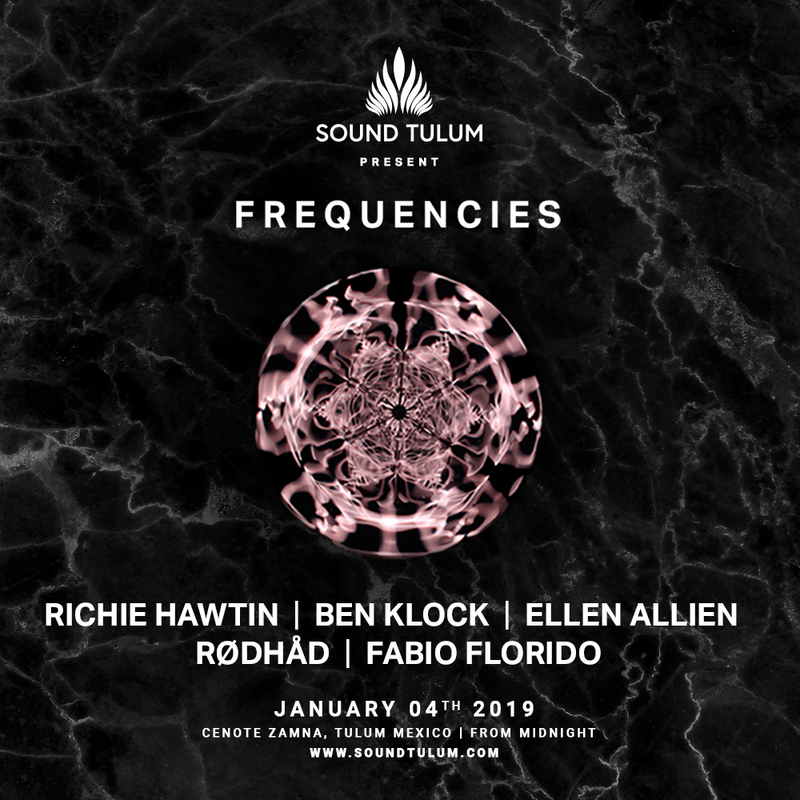 Frequencies will bring techno heavyweights Richie Hawtin, Ben Klock, Rødhåd, Ellen Allien, and Fabio Florido. Tickets are available here for Frequencies at Sound Tulum. 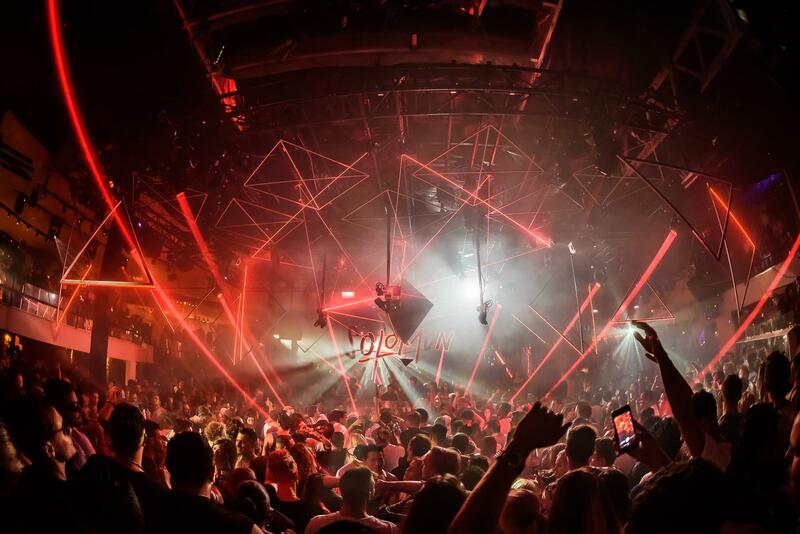 UPDATE: Solomun +1 DIXON on Saturday, January 5th. 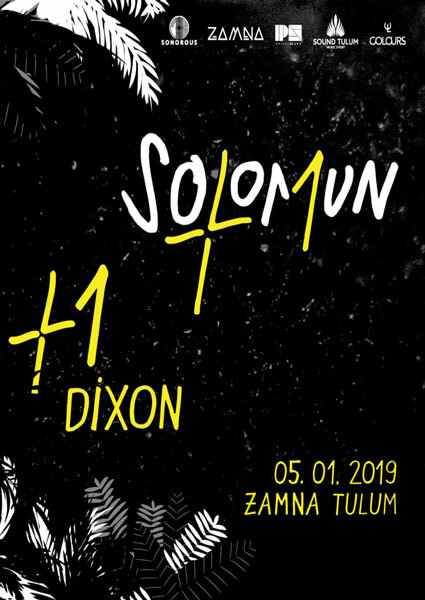 Tickets available here for Solomun +1 DIXON at Sound Tulum! 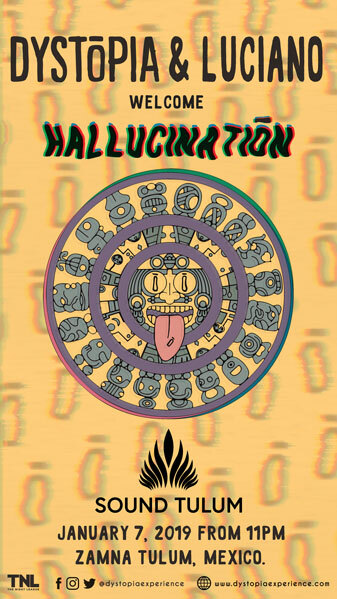 UPDATE: Dystopia & Luciano Welcome Hallucination on Monday, January 7th. Tickets available here for Dystopia & Luciano Welcome Hallucination at Sound Tulum! UPDATE: Tale of Us Present Afterlife on Wednesday, January 9th. 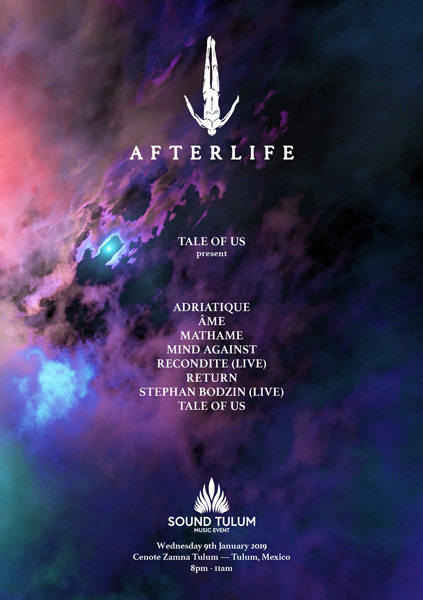 Tickets available here for Tale of Us Present Afterlife at Sound Tulum! 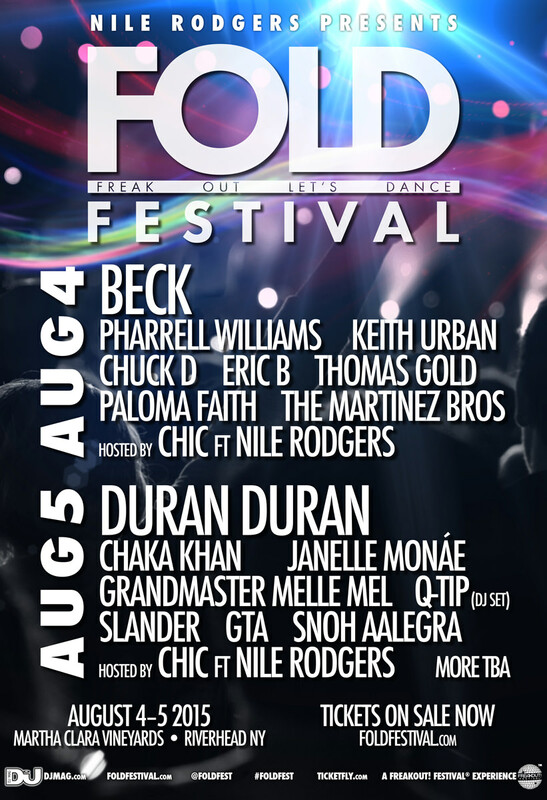 Nile Rodgers Produces ‘Fold Festival’ on Aug 4th/5th just outside New York! 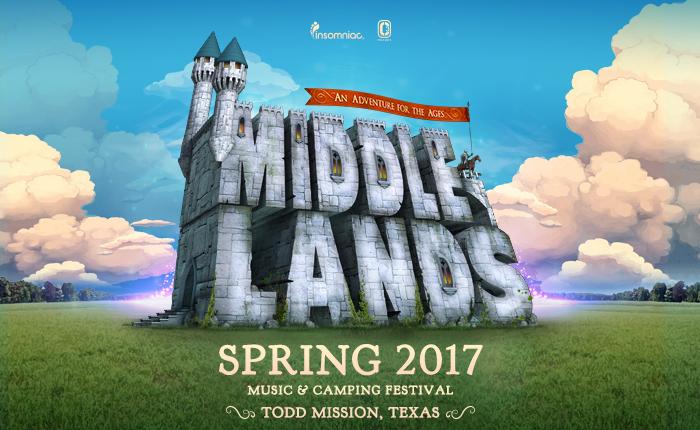 Insomniac and C3 Presents Announces Middlelands 2017 Festival!